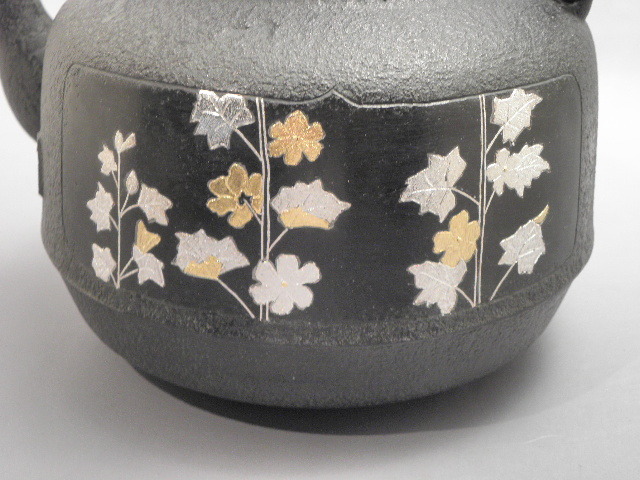 With the process polishing the surface of iron pot, it successfully realized the inlay image like as a Japanese painture. 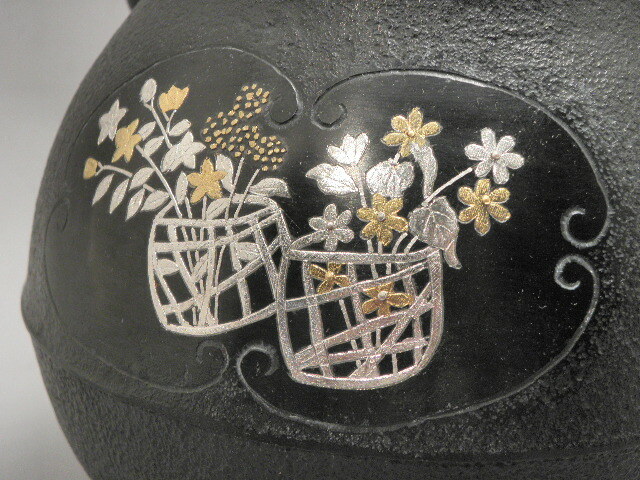 Flower Baskets with autumun flowers and leaves are designed on. 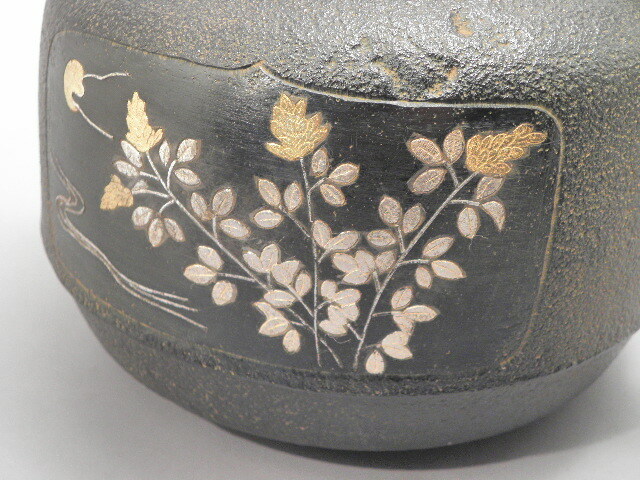 It represents Japanese aesthetic sence. 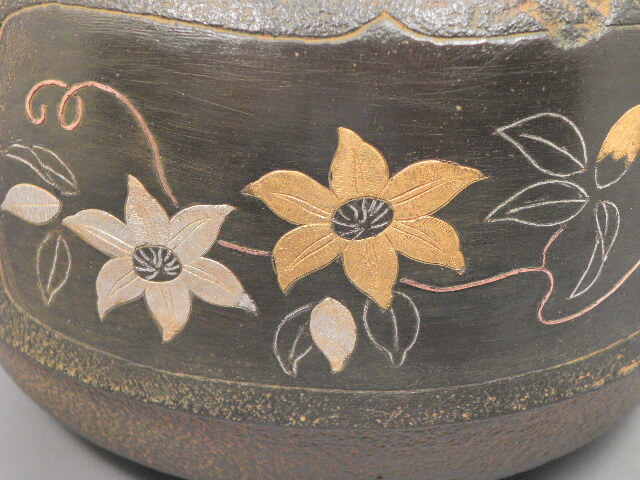 Inlay work depict flower baskets. 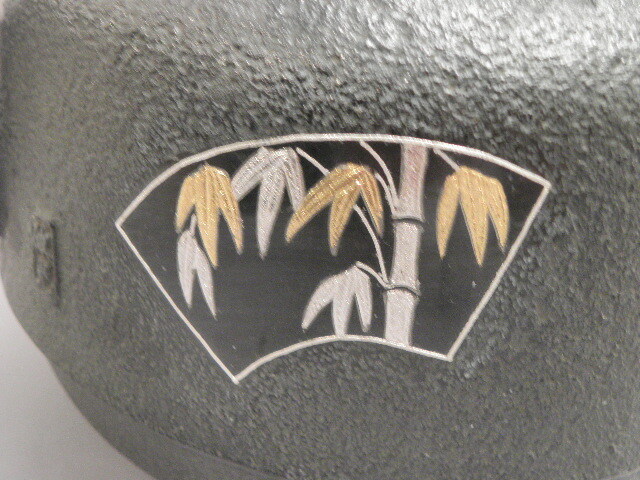 Image of the other side. 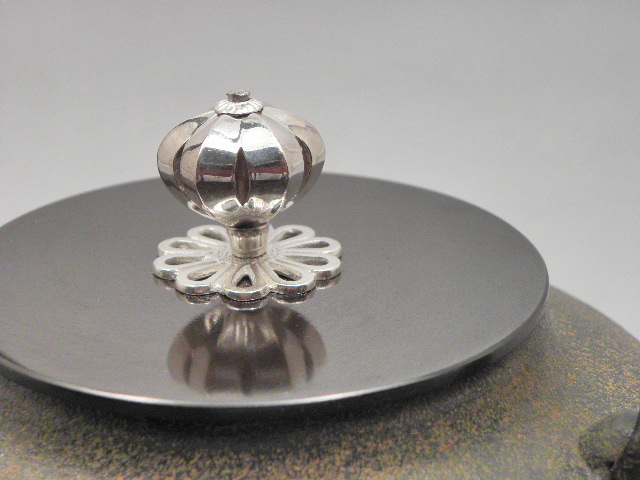 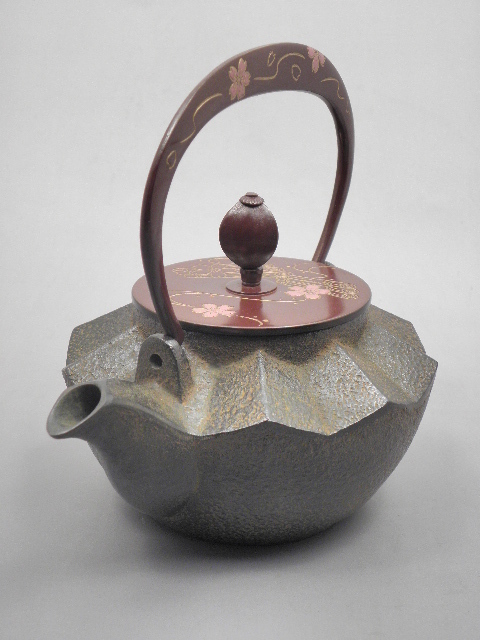 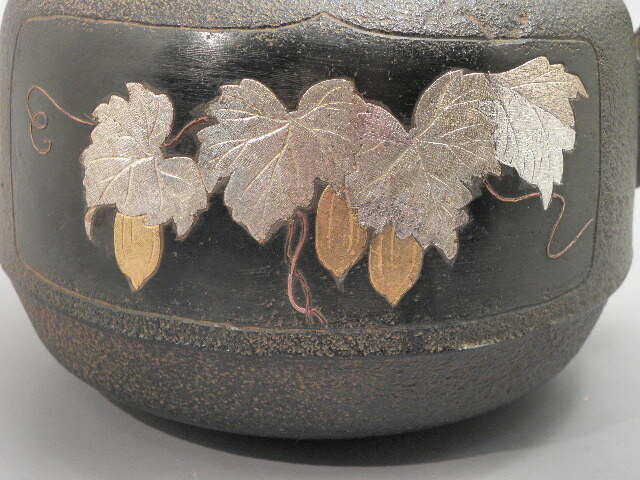 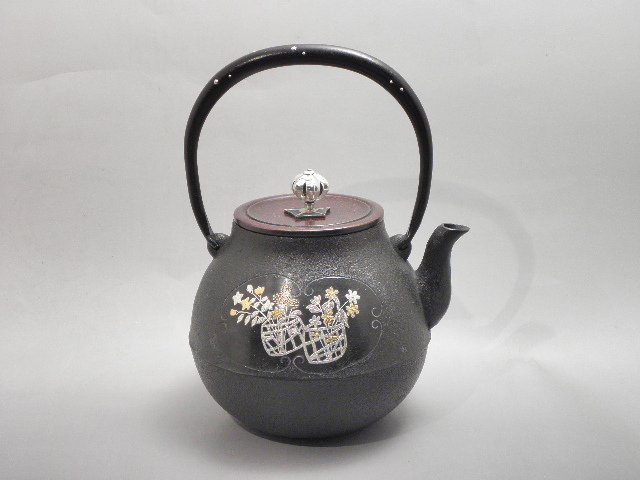 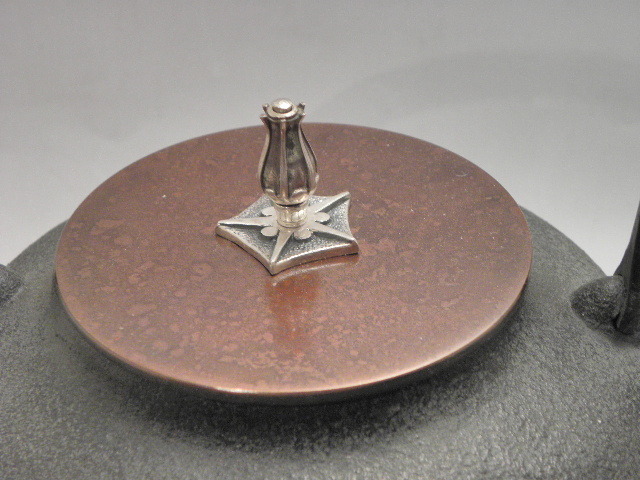 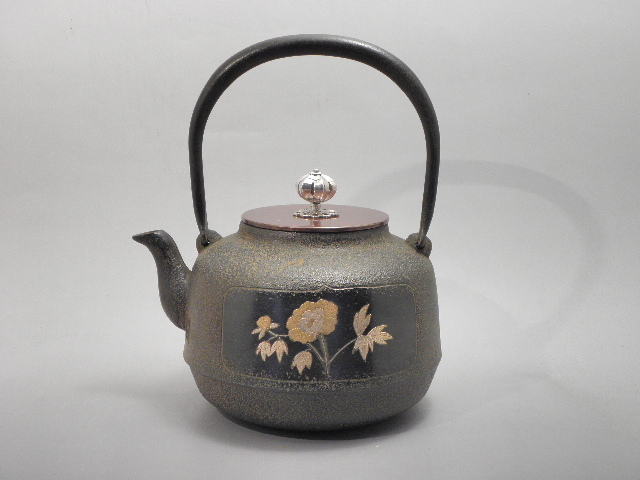 With the process polishing the surface of iron pot, it successfully realized the inlay image like as Japanese painture. 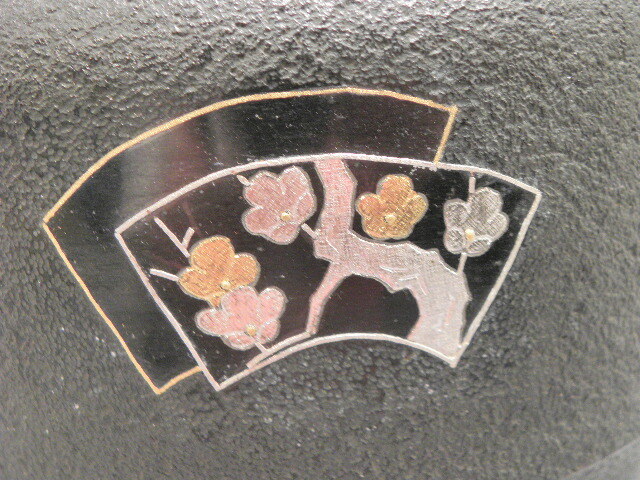 It designed three luckey symbols - Pine tree, Bamboo, Plum tree on Japanese folding fans. 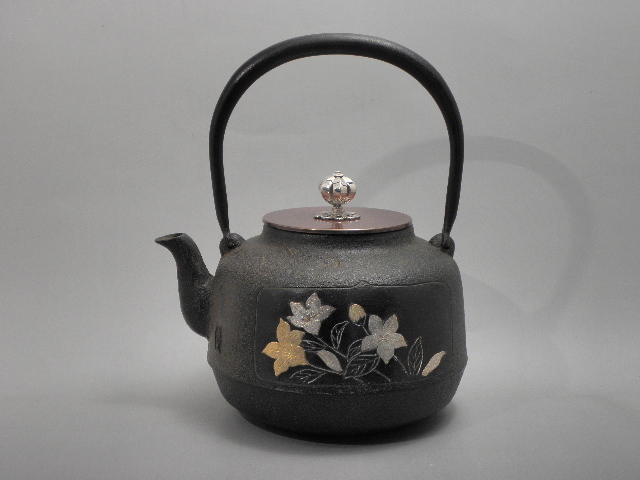 With the process polishing the surface of iron pot, it successfully realized the inlay image like as a Japanese painture. 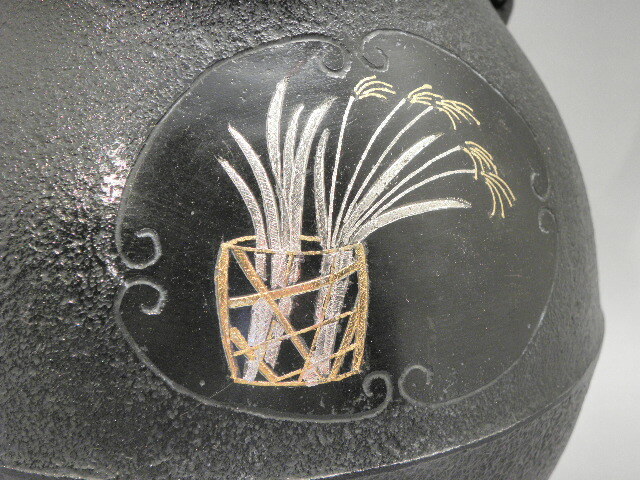 Bellflowers on the front side, and Snake gourd is depicted to its back side. 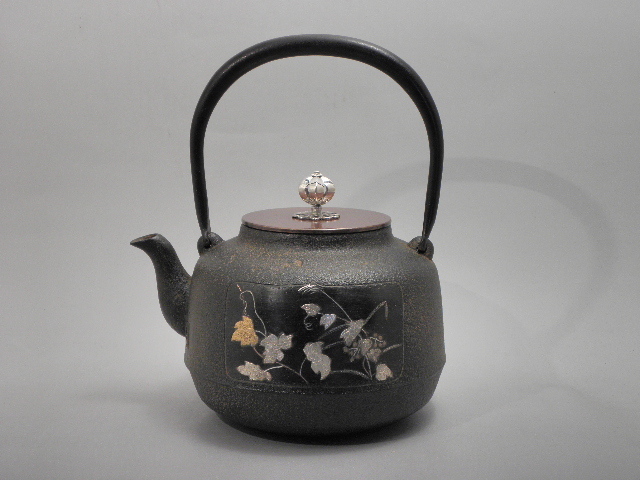 Represents Japanese aesthetic sence. 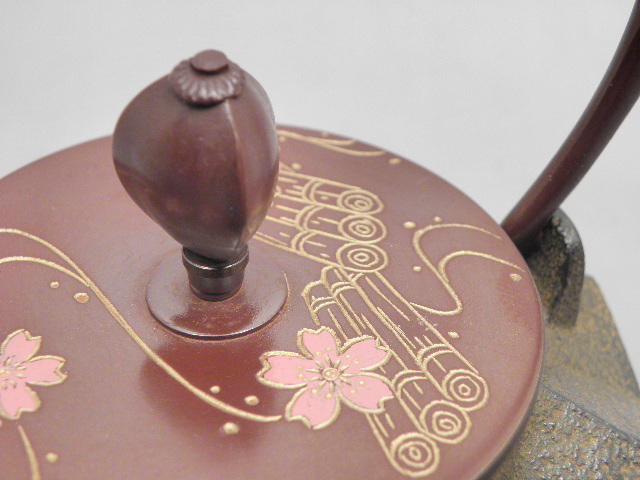 Small kettle looks like spread out in a wide fan. 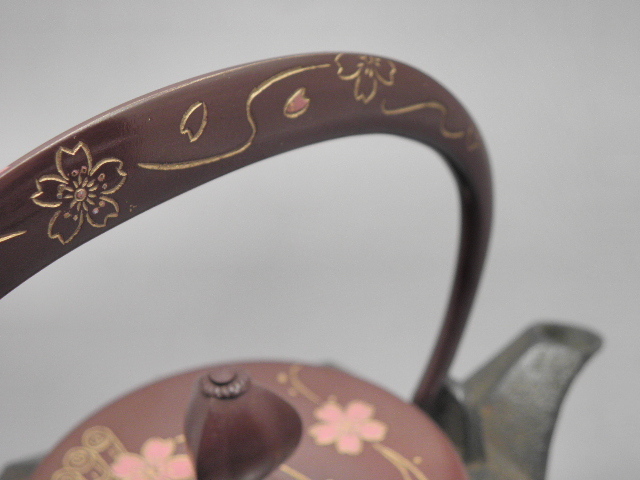 cherry petals fall in the stream.